Scholars and preachers have been approaching Islam and Christianity for centuries as two religions. But what if we set that approach aside and try something new? What if we look at the stories that Islam and Christianity tell? In this book we do exactly that: we go back to the beginning of the stories – Creation – and work our way forward to humanity, Israel, the founders (Jesus and Muhammad), why they founded their communities (the Church and the Umma), what those communities are doing in the world today, and then look down the road to the end of the two stories of everything with their different accounts of the final judgment. 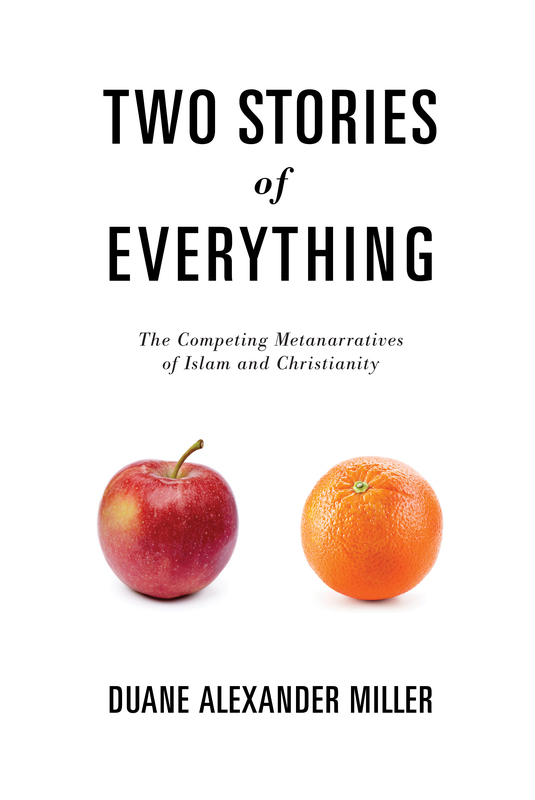 Approaching Islam and Christianity as two stories of everything, or metanarratives, produces fresh new insights relevant to any person – whether Christian, Muslim, or of no religion – concerned with the question of how Islam, Christianity, and modernity interact and sometimes clash with each other. For a helpful conversation by the author about the book, visit https://duanemiller.wordpress.com/2018/02/22/al-kresta-interviews-me-for-ave-mario-radio/.